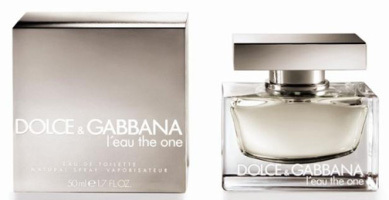 For women who demand to be the ‘ONE’ every day, Dolce & Gabbana introduces l’eau the one; the new, delicate eau de toilette version of the original eau de parfum. l’eau the one, fresh and sweetly fruity, is the lighter and seductive interpretation of the one, made for a diva who never passes unnoticed, but desires a lighter fragrance. Yves Saint Laurent has launched Elle Intense 2008, a new limited edition version of 2007's YSL Elle fragrance. The fragrance notes include raspberry, litschi, jasmine, iris, benzoin, patchouli and amber. Elle tanked in our area… mostly because it resembled a paler version of the Burberry The Beat and that lasting power is crap. An intense may outsell the original. The original The One was pleasant, and I didn't find it all that strong. I guess the original The One just wasn't… the one. Well, if she desires The One everyday, then wear The One! I agree. I didn't find the first one strong. Sometimes I feel they do the “lighter” version not for the Asian market but to save money. I feel American tastes keep getting lighter. So I like the idea of Elle Intense. I like “intense”. Isn't it ironic that oriental fragrances are stronger(deeper, spicier) and yet more Asian consumers like the opposite? Did tastes just change? Maybe I don't know the origins of olfactory group? No, the “fragrance family” had nothing to do w/ scent preferences — named more for Western conceptions of the East. The new L'eau The One is a Thin and Overly Transparent and more Fruity version of the original (WHICH IS DIVINE) and i don't like this version one bit! (you all know how i feel about flankers) but was imagining good things for this since the original juice was really stunning to start with. this is instantly forgettable. If this is for the Asian market the timing isn't too odd. It is still warm in many Asian locations. Taiwan is still hot and so is most of Southeast Asia. Summer seems to never end! the perfume industry is scaring me!! why are they all making these lighter versions of perfume, most of them are light enough as it is, what happened to classic strong bold perfumes, where the scent stays with you all day. if you're going to be so scared about wearing strong perfume you might as well not wear any. Dolce and Gabbanas the One (the regular one i mean) was perfect as is, I was actually thinking it could be a little bolder. It's a very warm and beautiful fragrance, smells like vanilla and brown sugar on me. I even was hoping it would stay longer on my wrist. The gold colouring of the liquid and the bottle is beautiful. I dont care much for this silver look, it destroys the whole glamour of “the one”. If a true diva had to pick between gold and silver, she'd pick gold, and thats what “the one” is all about. So if you really love this fragrance, go for the real stuff. Re. oriental scents vs oriental tastes. Isn't the fragrance group also named for where many of the spices come from? I tried to like The One. Many people wrote it smells of plums which I love. But it seemed just indistinct to me, sorry. I didn't like The One at all. Did you check the online discounters to see if you could get it cheaper? I'll bet you can! Ok, so I broke down and bought a bottle. I sprayed a little squirt on me and it's still there! I think it was 3 or 4 hours ago! I'm glad I got it :). I'll really take it for a test drive on saturday! Well that sounds pretty good for an EdT! Ugh, that Dolce and Gabbana perfume's name irritates me. The French/English combination is NOT cool. Indeed! It should have been French. Then when they made the lighter version, it could have been L'eau d'Un/Une or something. Or they could have called it The One Light if they wanted it to be in English.